Yeah, I think they just pulled words out of a hat. But regardless, it piqued my interest a little bit. Enough for me to procrastinate on assignments far too much this past week. So yeah, pretty straight forward. 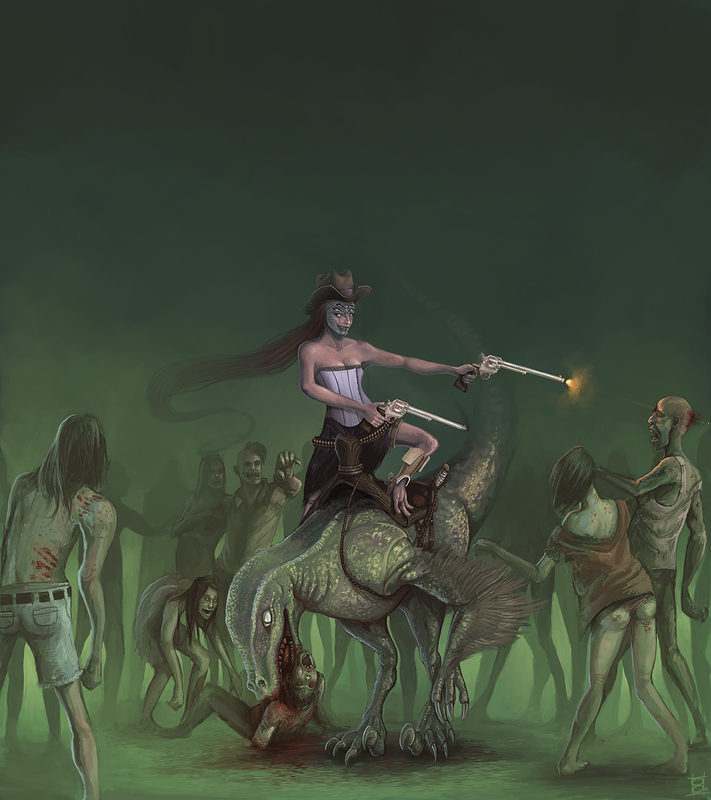 She's an alien, she's a cowboy, she rides a dinosaur and she shoots herself some zombies. All in a day's work, right?